Xiaomi is now India’s No.1 Smartphone brand and they continue to do well, but now Xiaomi slowly bringing smartphone accessories and other products like purifiers, TV’s and many more things to India. But there are many products which Mi doesn’t bring to such a big market like India and one of them is Xiaomi AirDots which launched at a very affordable price 30$ but now it’s selling at 75$ (around 5700 Indian Rupee). 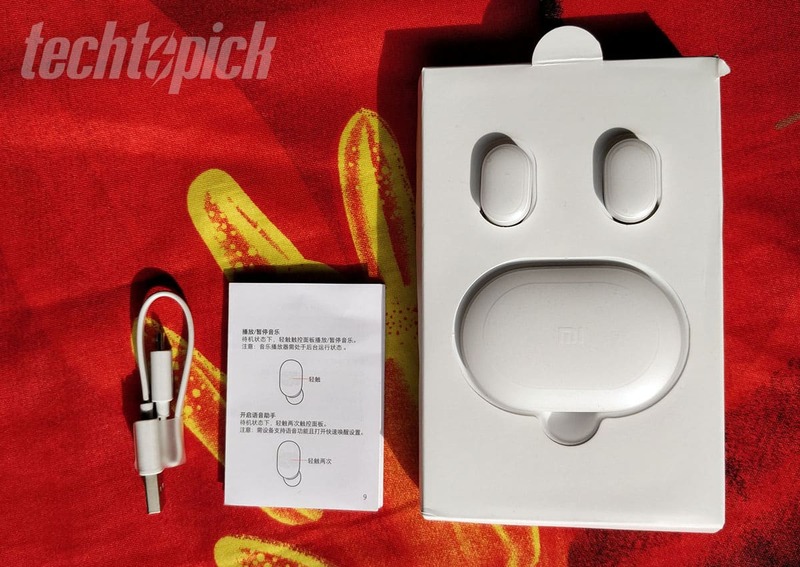 The Box of Mi AirDots is very simple and once you open the box you found Xiaomi AirDots with Charging as well as carrying case. Other things you found in the box is a charging cable, extra earbuds and a user guide which is in Chinese which doesn’t make any sense for me. So, that’s all for In-Box contents. 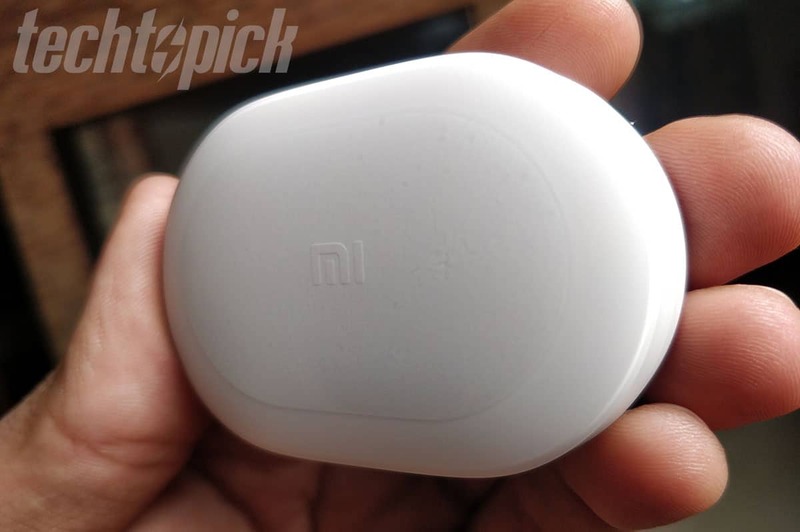 Xiaomi AirDots is completely wireless so there are few things which are really important and one of them is lightweight design with solid build quality and Mi did a really good job in this department Mi AirDots feels premium and really lightweight weights only 4.2 grams. AirDots fits nicely in ears and very comfortable for a long time listening. The design of these earphones is really good it doesn’t slip out from your ears easily I tried my best to shake my head as fast as possible and I also tried running and surprisingly it doesn’t fell off even a single time. All-in-all I’m impressed with Xiaomi AirDots design and build quality. The thing that matters for me in earphones is sound and Xiaomi AirDots did a good job here. This Mi AirDots has 7.2mm Driver which are able to deliver you really crisp sound with ample amount of punchy Bass but not as deep as some other earphones provide in this price range. The mids and highs are very detailed in Mi AirDots and missing the notes with this wireless Bluetooth earphone is not an issue. The earbuds fit perfectly inside your ears due to that the passive noise cancellation effect works great to cut off the outside noise and offer you a pleasant music listening experience. Overall I’m happy with the sound quality of Xiaomi AirDots but for Rs. 5,799 it’s still not the best but it’s much better than other truly wireless earphones in this price range. 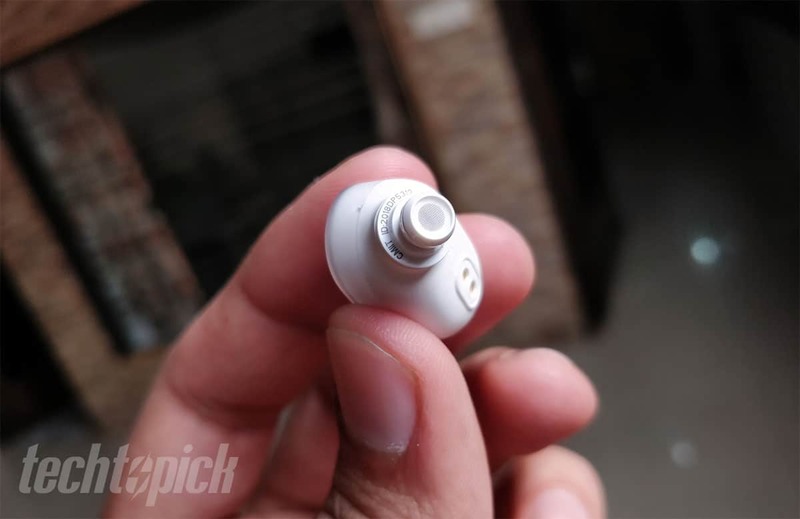 The microphone on this one is really nice as per Xiaomi they use HD Sound quality mic and I have to say audio quality via mic is really good and you can use these earphones for voice or video calling. 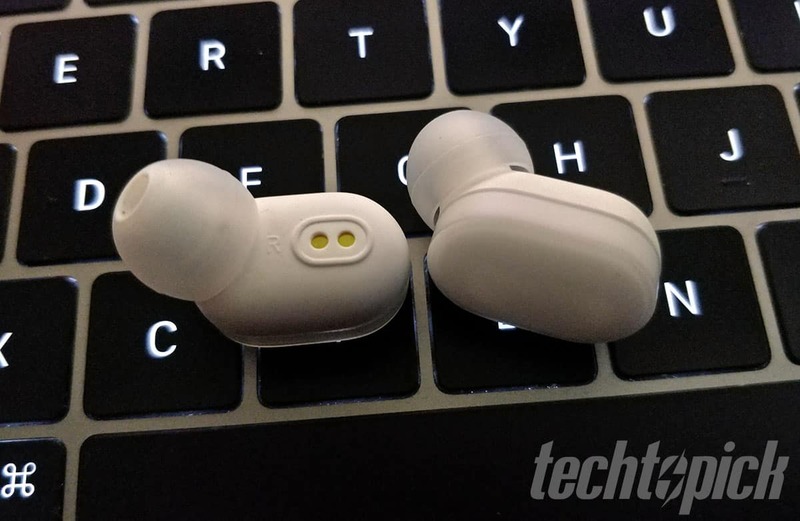 The Xiaomi AirDots Wireless Earphones support touch controls on the buds. You had options like double tap to open voice assistant, single tap to play/pause music, and accept or reject calls through the dedicated touch zone which is on the center. The AirDots come with true wireless technology (TWS), which splits audio between the two buds, thereby ensuring a balanced and enhanced hearing experience. Mi AirDots are really easy to connect with any device whether you have Android /iOS/Windows or Mac device. Firstly you need to pair both earbuds with each other by touch and hold until red & white light start blinking and then turn on you smartphone bluetooth and here you see only right side earphone is showing to connect. Once you paired and connected with your smartphone everytime you plug out earphones from charging dock it automatically connects with your smartphone just like AirPods by Apple. The Only thing which I found is not up to the mark in these earphones is battery life you can use these for 3.5 to 4 hours only on a single charge thanks to its lightweight design. A Wireless Bluetooth earphone at least should have 5-6 hours battery backup. But if your Charging Dock is fully charged you can charge these AirDots twice and use up to 10-12 hours. – Not Sweat or waterproof. 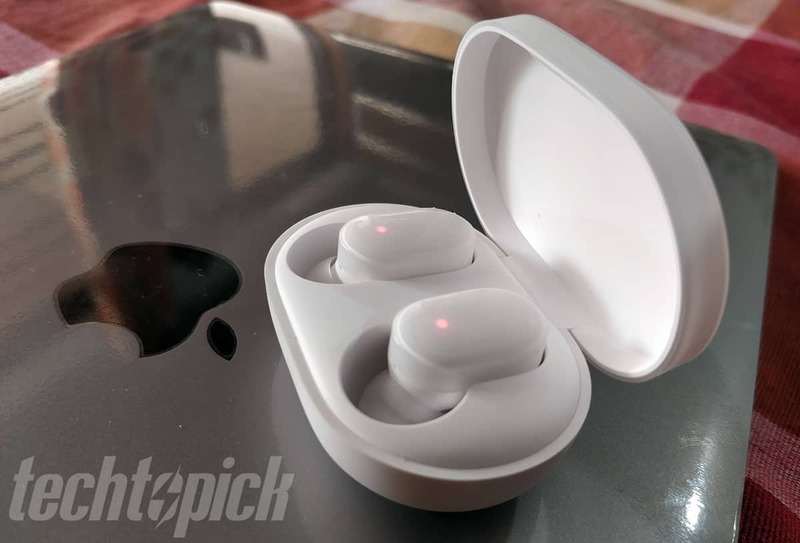 It's a really good option for Android users who are looking for truly wireless earphones like Apple AirPods in a Budget Price you can buy these earphones for Rs. 5,299 (74$).